A foretaste of luxury design future! Ultimate Elixir was rethinking in a more ecological way and for the first time, with a refill. 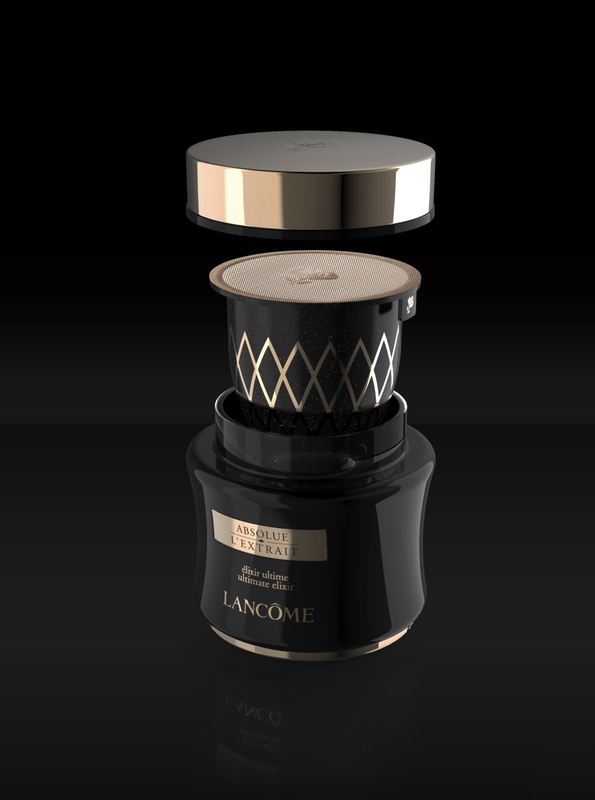 We have redesigned bottle's curves which resulted of a reduction by 39% of its glass weight and by 30% its box's volume. 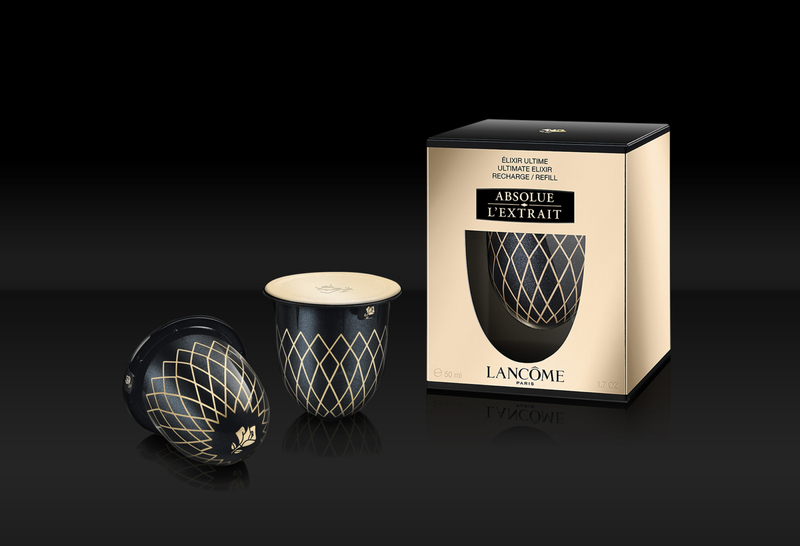 Our new design has become rechargeable with a capsule that leaves nothing to chance: with a decorative rosette motif, an unmistakable reference to the majesty of the Lancôme Rose. 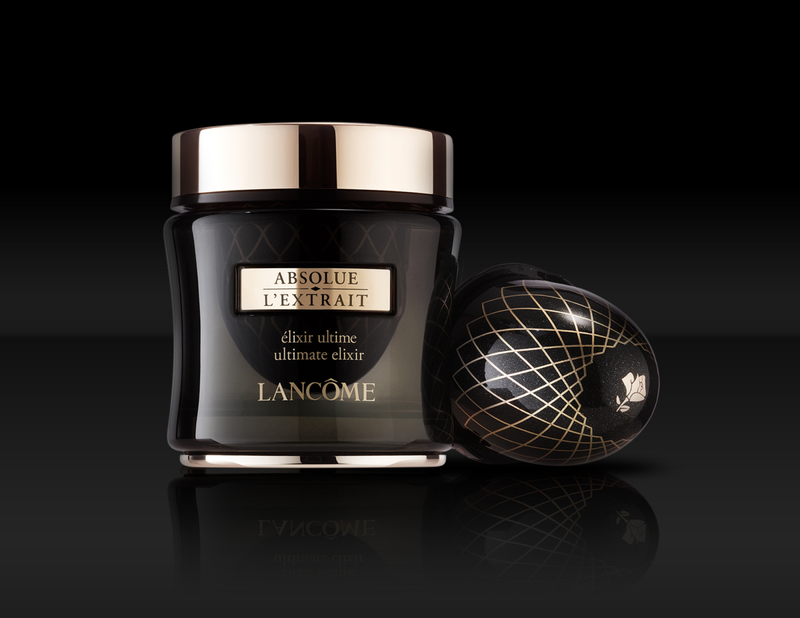 And, a new packaging even more splendid than the previous one: statutory, contemporary and luxury. Brand support on the creative and on the whole technical development parts. Resulted: A reduction of 59% of the materials used was made!